Trump’s candidature in 2016 for the job of the US president was not a one-off erratic spectacle that the USA put on for the rest of the incredulous world. It was in fact the opening salvo in the USA by a very sizeable minority of the US public absolutely disenchanted with the ‘progressive’ direction of the USA. If they had their way, they would turn the USA back to a fantasy of what it once was. However, this disenchantment is only going to increase over the coming decade. The astrological influence over the coming decade will plumb the depth of the social and political dichotomy that is the USA. The USA, since December 2014, has for the first time since the American Civil War (1861-65), entered a Gemini micro-age (Dec 2014 – Nov 2029). The former Gemini micro-age associated with the American Civil War covered the period June 1851 to April 1866. Why should Gemini be associated with so much upheaval and polarization in the USA? No period in macro-astrology operates independently of larger and smaller periods in play plus overlapping periods definitely must be taken into account (see Age of Aquarius for Dummies). Both these Gemini micro-ages are also overlapped by a Cancer micro-age overflow and the overflow period is where a sign manifests at its peak strength. Therefore the Gemini micro-ages, that the world is currently in, and was previously in place during the American Civil War, have even a stronger Cancer influence than Gemini. Cancer is a critical sign for the USA as American society and culture commenced in the Capricorn sub-age (1433 – 1612) when Jamestown was settled on May 4, 1607. This not only places the Capricorn element in the signature of the USA very high up the totem pole, it is enhanced by the fact that 1407 also occurred in a Capricorn micro-age (1597 – 1612) – the strongest time for Capricorn in the whole Capricorn sub-age (there are 12 micro-ages in every sub-age). Nevertheless, with Capricorn so strong in the signature for the USA, it has trouble dealing with periods associated with Cancer. It certainly had a major problem with the former Cancer micro-age overflow as the American Civil War is the greatest political issue the USA has ever encountered since its formation. However the 19th century Cancer micro-age coincided with the much more massive Cancer sub-age decan (1791 – 1866). 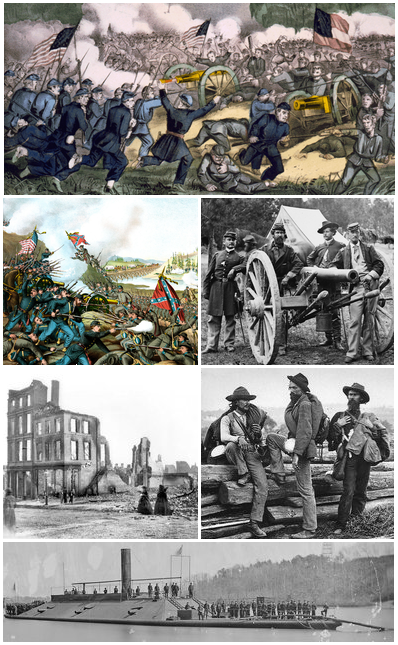 Sub-age decans pack a real punch, and the resultant punch for the USA was not a knockout blow, but the next best thing – a massive civil war. The current Cancer period does not invoke a massive Cancer sub-age decan or any other strong Cancer period. This means that the internal turmoil expected in the USA under the Cancer micro-age overflow (Dec 2014 – Nov 2029) will not produce a civil war. But even with Donald Trump, we see some extra venom and separation between Republican and Democrat supporters compared to most US presidential elections. We can expect some serious disturbances and opposition in the coming years. The other key ingredient associated with the American Civil war is that it coincided with an Aquarius micro-age decan overflow within the Gemini micro-age. (Any Gemini micro-age will have three micro-age decans, and one of them will be an Aquarius micro-age decan). The Civil War (1861 – 65) coincided very tightly with the Aquarius micro-age decan overflow (May 1861 – April 1866). This is the five years when Aquarius is at its greatest potential, but all three signs associated with the Civil War: Gemini, Cancer & Aquarius had a role to play. Gemini tends towards splits and fragmentation. The USA split into two in the Civil War and in the 2016 presidential elections we see the growing division in American society as the minority hard-line conservatives, manifesting as the supporters of Donald Trump, rage at the system that sees the erosion of their traditional values and expectations of the USA to be the greatest country in the world. This erosion will not stop so this significant minority are expressing their displeasure at increasingly higher decibels. The Aquarius element clearly manifested in the American Civil War as on one side the Unionists were fighting for the freedom of slaves and freedom is always associated with Aquarius. On the negative side of Aquarius the Confederates were insisting on their God given right to own slaves which is the normal fascist approach to any situation – fascism always involves the subjugation of minorities as sub-standard people one way or another. Fascism is a bedfellow of racism but a fascist or racist never admits to being one as they do not perceive this reality within themselves. This would require introspection. Fascism is always on the other side of the Aquarian coin! The fact that the primary precipitation leading to the US Civil war was slavery is in recognition that Pisces is the strongest sign on the USA’s totem pole. The Aquarius element is again present in the world today, but in its formative stage. Aquarius graduates to its potent stage with the Aquarius micro-age decan overflow (Nov 2024 – Nov 2029) but does seriously pick up speed commencing mid-2017. Taking into account that the Democrats or liberal political elements are favoured to win every US presidential election up to 2028, the hard-line conservative elements in the USA represented by Capricorn will be extremely unhappy. They already had to put up with the insult of a black president, and now a female president. When will this travesty stop! Perhaps a lesbian president is next? We should expect the dissolution of the two party political system in the USA in the coming decades as the major Gemini period the world is now entering is not just a Gemini micro-age but the peak part of the Gemini sub-age decan and overflow (1970 – 2029 – 2059) with the period 2029 to 2059 the strongest Gemini section. Gemini promotes splits and fragmentation. Gemini is already manifesting around the world and not only by its mass seduction of the general public via cell phones and portable electronic devices. The Brexit vote is another example of Gemini as the UK commences the fragmentation of the European Common Union. [see Gemini’s Role in our Modern World (or Battle of the Brains] I would not be surprised if some states or regions in the USA again voice their desire to fragment the USA in the coming decade. What will be most obvious in the next decade is the growing animosity between the progressives and conservatives in the USA as the conservatives’ experience the continuing erosion of their values and political base. Power corrupts, and historically, very few groups within society willingly allow their power to erode. Conservatives always consider that they have a god given right to rule. For conservative groups, democracy is not the most important feature, it is their values that are most important. Democracy is just this bothersome thing that subverts their “American” values. When it comes to the crunch, conservatives will fall back upon neo-fascist approaches to solve their perceived problems. Trump is probably just the first jack-in-the-box to pop out of the hardliner faction in American politics which is on a serious growth curve. The religious fervor expressed by Trump’s adherents is something rarely seen in modern western democracies, but it was seen in the Brexit referendum in the UK. Even an advanced modern western democracy is not 100% immune to the extreme right in politics. Nearly all modern western democracies currently have a resurgent hard-line right wing political revival – but they usually only gain adherents from the looney end of society, whereas in the USA, a very strong and significant section of society have jumped onto the this bandwagon. The ultra-conservative right in America may have taken the media bandwidth in the lead up to the US presidential election, but in leading western nations, the progressives will on average, have the edge. Any setback by progressives will only be temporary. The Age of Aquarius is not going to disappear! This is not the case in ‘immature’ democracies and other governments where the extreme conservative right can dominate politics such as in the Philippines, Thailand, Malaysia, Poland, Russia, a number of central Eurasian nations and so on. For the rest of this century, the progressives and conservatives will be at each other’s throats. Why, because the future lies with the progressives, and the stronger the progressive policies, the greater the reaction by the incensed minority that opposes these policies. The USA is highly stressed, and will get even more stressed over the next decade. There is nothing in the astrology that suggests any overthrow of the US government this century. The same cannot be said for the middle of next century where there is a high chance that the government of the USA will be temporarily demoted, sidelined or usurped, one way or another, before it regains its momentum. Astrologically, the USA will remain the dominant power in the world until around 2500 at which point it will probably be absorbed or evolved into Greater America (a combined North & South America). This process is already underway with the Latinization of the USA. Your article is good and gives good astrological insights. It is very nice article and keep sharing more information.. While your astrology work is unparalleled, your historical understanding of Progressive versus Conservative shows significant ignorance. Not all movement change equals progress. Progressives have taken thousands of years of civilization and nearly destroyed it in fifty years of regressive return to moral relativism, sexual perversion and the destruction of the most basic building block of society, the family. Historically in tribal female mother goddess worship society there were far more arrangements and far less progress. In fact the advent of patriarchy brought farming, law, reason, education and more. Without the civilizing influence of harnessed masculinity your society degenerates into the ghetto: Mothers with many children from multiple fathers with young men useless and dangerous destroying rather than contributing toward society. Furthermore if moral and righteous masculinity are not returned to their appropriate place of respect, expect Islam to resurge and dominate the planet. How progressive is that religion?